Following on from last month’s newsletter I thought we would take a look at some of the factors that might be providing a hand brake to the property market recovery in Perth, whether they are genuine or perceived and if genuine, anything we can do to alleviate them. Let me start by saying that the property market is like any other commercial market and it is predominantly impacted by supply and demand pressures. The supply side is handled by the market however it is never possible to achieve perfect equilibrium as the creation of stock takes time and in the case of many projects, once the project starts it can’t be stopped, even if the demand has subsided. The same applies in reverse with pent up demand hard to alleviate with instant supply. Demand is driven by a number of factors but principally in Perth it is population growth, and population growth is driven by many factors including natural increase (more births than deaths), international migration (for many reasons including jobs, health, lifestyle, education, security) and interstate migration (largely driven around jobs). More recently we are seeing demand from Downsizers looking for alternative property choices to move in to as the family home becomes too big for their needs. Active and mobile young professionals are also choosing lock-up and leave accommodation better suited to their lifestyle. In 2014, Perth was sitting at record population growth and therefore we began the journey of producing record supply. However by the time this supply came online through 2016 – 2017 the mining construction boom was over and the population growth had diminished leaving an oversupply in the market. Prices started to fall, first in the rental market as the vacancy rate rose and then in property values. It is important to note that at no time during this downturn did Perth see negative population growth. Yes we lost more people interstate than we gained, but with natural increase and international migration we were still growing, just not fast enough to absorb the supply. With the vacancy rate increasing, rents falling and values falling, Investors disappeared from the market. They might not have started selling but they had stopped buying. Taking Investors out of the market reduced a significant sector of demand meaning it was going to take longer to soak up the supply. On the flip side the majority of the supply has been taken up by Owner Occupiers – downsizers, upsizers and first home buyers. Over the last 4 years, supply has been slowly absorbed into the market, and new supply has dried up as Developers have been unable to make projects work at current pricing levels. Over the past couple of years Perth has seen a couple of false starts in the property market recovery, buyers have started turning up, gaining some confidence that perhaps the bottom of the market had been reached, the bell rung so to speak and it was now time to buy! In some suburbs the recovery is well underway but by-in-large we are still spluttering around the bottom. In the meantime, as reported in last month’s newsletter, the Perth vacancy rate has fallen from a record high 7.2% to just 2.6% and rents are starting to rise. We know the population is growing more strongly again and we know the supply side is very contained. So what are some other micro factors impacting on people’s decision to enter the property market as a Buyer? I would say the top two factors keeping buyers at bay presently would be a lack of confidence principally due to the sustained poor performance of the market over a prolonged period and the tightening of availability of credit. But perhaps also concern around low wages growth, job security, changes to government and negative gearing and capital gains tax policy. In regards to unemployment, low wages growth and job security, I believe that generally speaking, these issues have subsided. In many sectors job creation is occurring and wage pressure is beginning. One factor that has whacked us over the head in recent months is the credit squeeze brought on by tighter regulations out of APRA and the banking royal commission. New guidelines to assess serviceability have caught some borrowers by surprise and an adjustment is required to secure loans. That’s not to say borrowers won’t be given loans they can afford to service, they just need to tighten up on their discretionary spending ahead of making an application for finance. 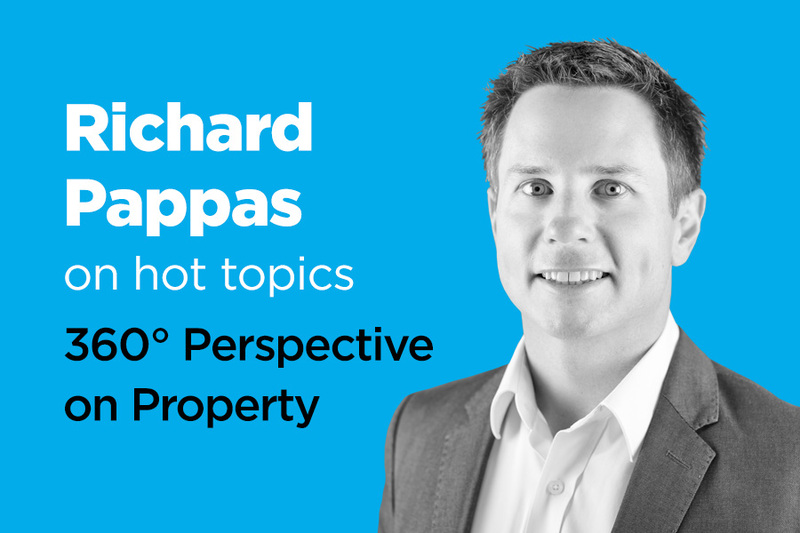 With the East Coast property market already cooling some might argue that the tightening bias is not required, it is very clear it was never required in WA and highlights the issues of a national policy with such varied economies performing at different levels across the nation. At the same time record low interest rates and contained property prices have made property the most affordable it has been in over 2 decades, if you can just get the loan approved! Labor will limit negative gearing to new housing from a yet-to-be-determined date after the next election. All investments made before this date will not be affected by this change and will be fully grandfathered. This will mean that taxpayers will continue to be able to deduct net rental losses against their wage income, providing the losses come from newly constructed housing. From a yet-to-be-determined date after the next election losses from new investments in shares and existing properties can still be used to offset investment income tax liabilities. These losses can also continue to be carried forward to offset the final capital gain on the investment. Labor will halve the capital gains discount for all assets purchased after a yet-to-be-determined date after the next election. This will reduce the capital gains tax discount for assets that are held longer than 12 months from the current 50 per cent to 25 per cent. All investments made before this date will not be affected by this change and will be fully grandfathered. This policy change will also not affect investments made by superannuation funds. The CGT discount will not change for small business assets. This will ensure that no small businesses are worse off under these changes. If you would like to review the full information you can visit the Labor website. Stamp Duty causes people to think twice before moving house. This is particularly relevant amongst retiree downsizers who are weighing up the “changeover cost” to downsize to more appropriate accommodation versus spending that same money trying to make their existing home suitable. Just last week a potential Buyer confirmed they would not be proceeding with the purchase of a more suitable home as the changeover cost was simply too great. So we have people living in homes better suited to families and less take up of more suitable property which in the long run will lead to supply issues and less choice. The state government has been campaigning around creating housing choice across the suburbs. Alleviating the impost of stamp duty will ensure greater take up of people choosing to live in homes that suit their lifestyle at that time in their life. The state government’s introduction of an additional 7% foreign buyer duty has got to be one of the most narrow-minded, short-sighted policies you could possible introduce. When we have to put up with so much policy dictated out of the East Coast you would have thought the state government could have seen there was absolutely no need to introduce this policy in WA. Firstly, we do not have a big percentage of foreign buyers taking up Perth property. Secondly, we have a market that requires stimulus not hand brakes. I’d love to know the figures on how much additional revenue this has raised versus the loss of standard stamp duty they would have received if they had continued to welcome the few foreign buyers Perth was attracting. At the very least the government should immediately alter the policy so that it does not apply to foreign buyers if they, or a relative lives in the property they are buying. We have seen demand from foreign buyers with their kids studying in WA disappear from the market over the ridiculous stamp duty of close to 12% now levied on their purchase. The property market is substantially impacted by supply and demand, and affordability fundamentals far greater than polices that might be cause for market manipulation of some description. Property in Perth is very affordable relative to wages. Tightening credit is having an immediate impact, however we are seeing an easing of policy already and this should progress more quickly in line with the cooling of the East Coast property market. The relatively poor performance of the East Coast market and perhaps stumbling economy will keep interest rates low for some time which will be positive in the Perth upswing. Labor’s policy in regards to negative gearing will not impact Investors buying brand new properties, only established properties. This has the potential to skew the market in times when Investors are more prevalent, providing extra competition for brand new properties and potentially less competition for established property. Labor’s policy on reducing the Capital Gains Tax exemption will apply to all investments acquired post the implemented legislation date (yet to be confirmed) and will not impact past purchases. What does all of this mean? Only time will tell… In the meantime if you have a view on any of the above or any further queries you feel I might be able to assist with, drop me a line anytime – 0411 144 230 or richard@celsius.com.au.